Chipotle wins the science ‘foot in mouth’ award for 2015, and we are not even to summer yet. So far there are more than 40 media condemnations and counting. The fast food chain’s “bold” move, announcing a faux ban on GMOs in its food, has blown up big time. Why faux? Because, as Chipotle well knows, its sodas, beef, pork and chicken dishes, and any food with cheese, are made with ingredients that were derived through genetic engineering. In other words, a Chipotle meal was, and remains, the very definition of a GMO meal, which is why its bungled opportunistic attempt to capitalize on anti-GMO hysteria is so delicious to those with a modicum of respect for science and the intelligence of consumers. Chipotle has taken food marketing hypocrisy to new heights, say its critics–and we are not talking about complaints from Big Ag or Big Food. In the week since Chipotle made its announcement, one would be hard pressed to find any nutritionist, scientist, health advocate or science journalist who has defended Chipotle’s crass marketing ploy. 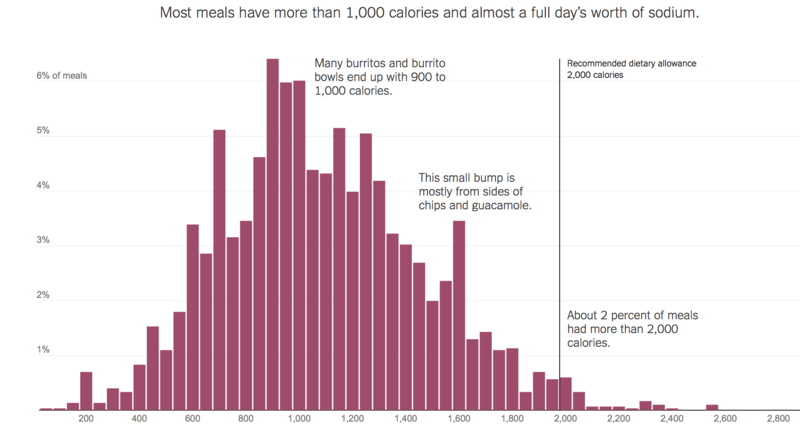 A New York Times‘ analysis found that many of its meals exceed 1,600 calories, and it’s not unusual for Chipotle’s customers to chow down more than 2,000 calories per meal–well exceeding a healthy person’s entire daily calorie allowance. And that’s without a soda, almost certainly sweetened with sugar made from genetically engineered sugar beets, adding an additional 250 calories or more. Chipotle has also pulled off a rare accomplishment: it has managed to unite the ideological left and right among scientists and journalists, a rare occurrence on a controversial science issue. Credible news sources, from the Washington Post to the Los Angeles Times to NPR to the Wall Street Journal – even to Mother Jones on the far left and National Review on the hard right – are taking justifiable potshots at the new face of science illiteracy and hypocrisy. Its defenders? 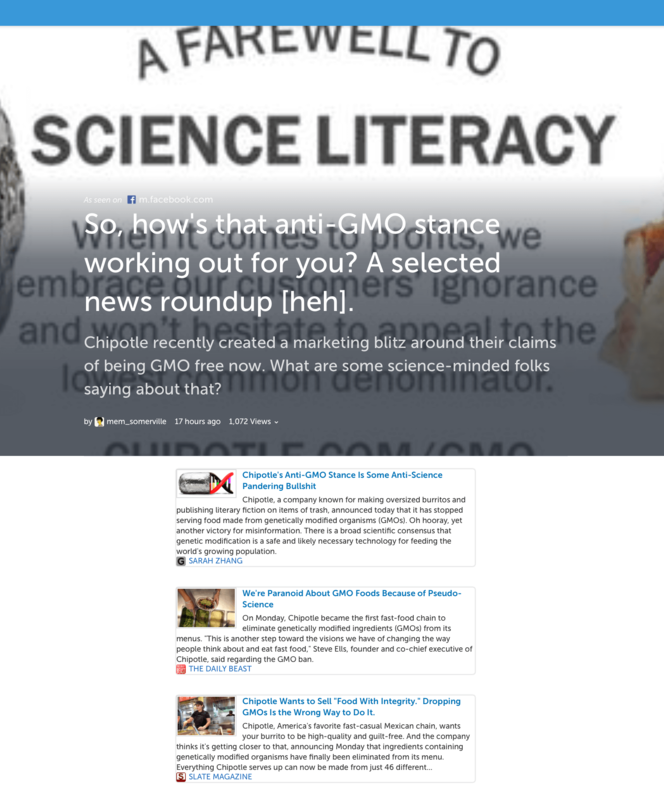 A motley crew of increasingly strident anti-GMO zealots like Gary Hirshberg, founder of Stonyfield Organic and head of the Just Label It NGO; to America’s celebrity anti-GMO chef Tom Colicchio; to creepy extremist quacks, like Mike Adams of NaturalNews.com. For the full, clickable list linked to many of the stories across the web, click HERE.